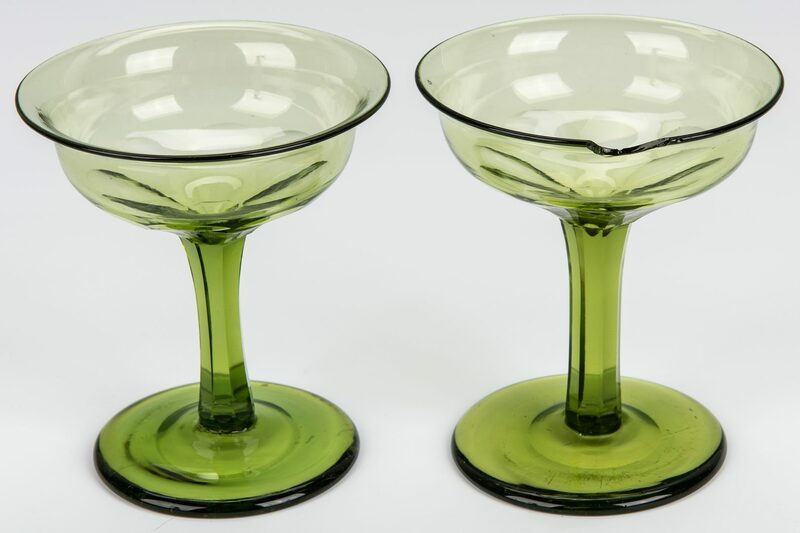 4 green blown and cut glass hock goblets, oral history of having been used during events related to the Marquis de Lafayette's visit to Nashville, Tennessee in 1825. 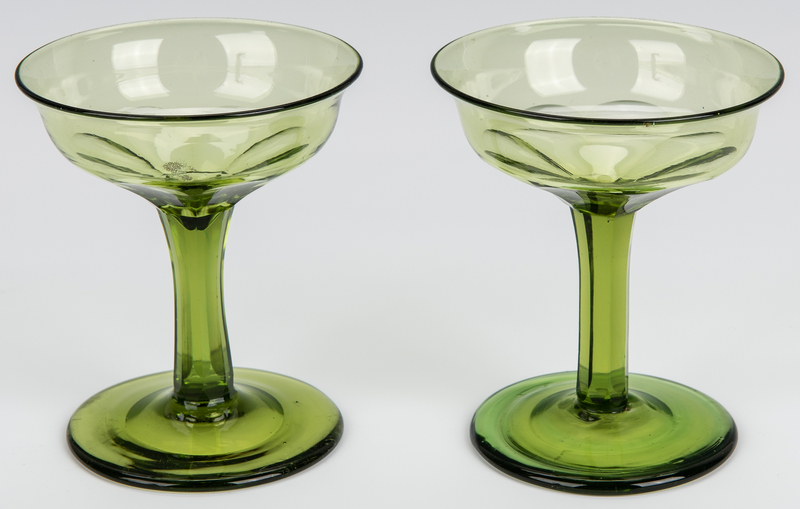 Each with flared rim over a cut paneled bowl, octagonal cut stem and round foot with polished pontil. 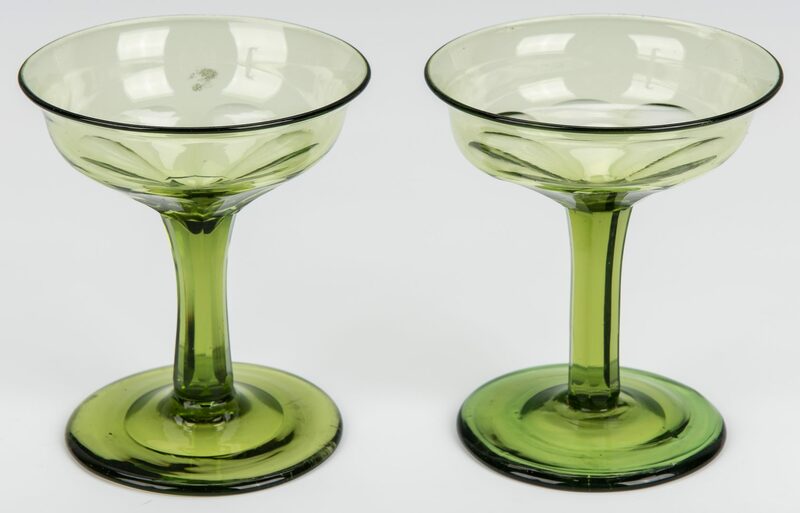 Each goblet varies slightly from the other. Two measure 4- 7/16" H, the other 2 measure 4- 5/16" H. Note: Two other goblets from this family are extant. 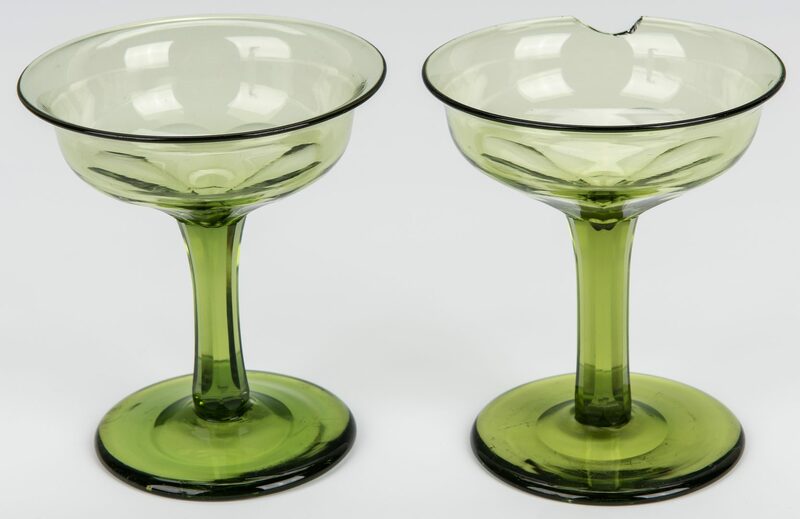 One is currently in the collection of Traveller's Rest, the other resides at The Hermitage, along with a similar goblet donated by another Nashville family which has descended with the same oral history. For a picture of the goblet at The Hermitage, Home of President Andrew Jackson, and an account of the visit of the Marquis de Lafayette to Nashville, visit https://thehermitage.com/marquis-de-lafayette/# . Provenance: the estates of Llewellyna and James T. Granbery, Seven Springs Farm, Brentwood, Tennessee. 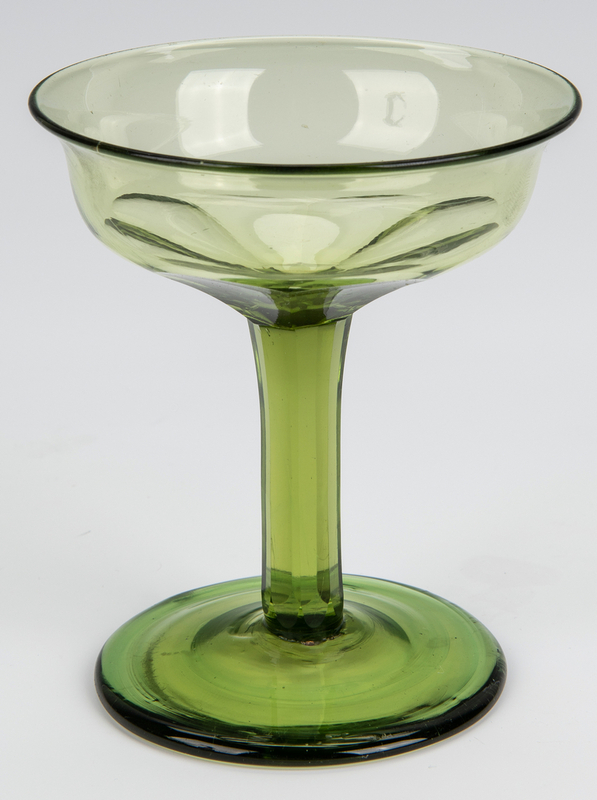 CONDITION: One glass (4 7/16") has a 3/4" chip to rim. 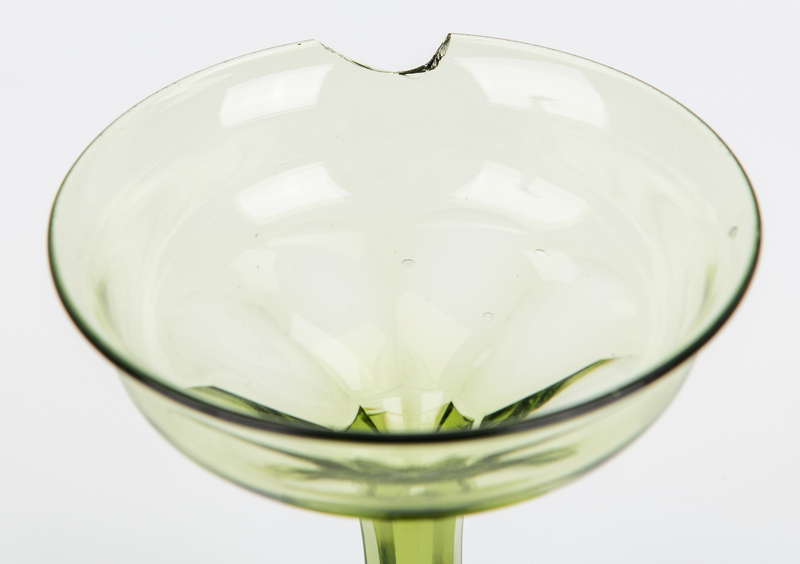 One glass (4 5/16") has a 1/2" area of abrasion and crackle to side of bowl. Two are in very good condition. All have some wear to bottom of foot.